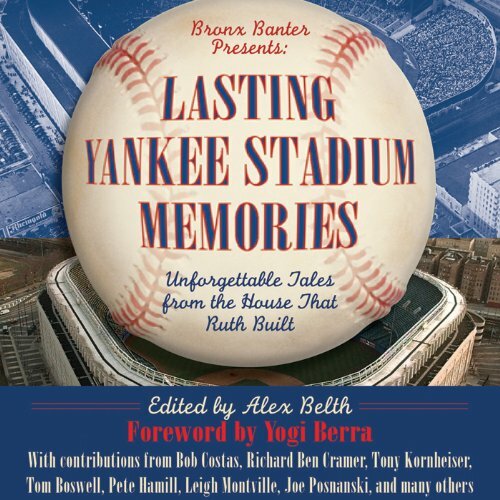 Showing results by author "Alex Belth (Edited)"
America foremost sportswriters and other personalities offer their favorite memories of Yankee Stadium, the world’s most famous ballpark. In Lasting Yankee Stadium Memories, editor Alex Belth of BronxBanterBlog.com collects personal essays by some of the most well-known and respected voices in sportswriting and entertainment today. In these revealing, sometimes hilarious, often touching essays, the contributors recount their favorite moments inside the most famed of all American stadiums.